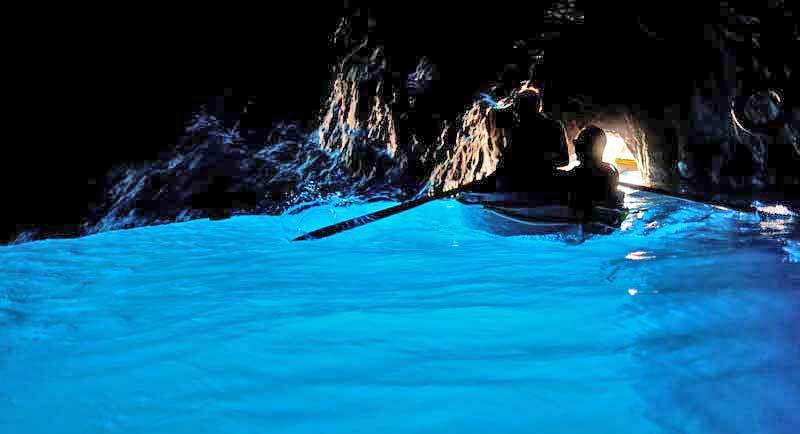 The most popular attraction for those who visit Capri is the Blue Grotto. Catch a boat excursion from the harbor of Marina Grande to the Blue Grotto (Grotta Azzurra). When your boat arrives at the Blue Grotto, you transfer to a small boat. You then pay an additional fee to be rowed into the cave of the Blue Grotto. If the tide is high, you need to lie down in the boat to enter the cave. It’s dark inside but the sunlight around the cave entrance turns the water its beautiful blue enchanting color. 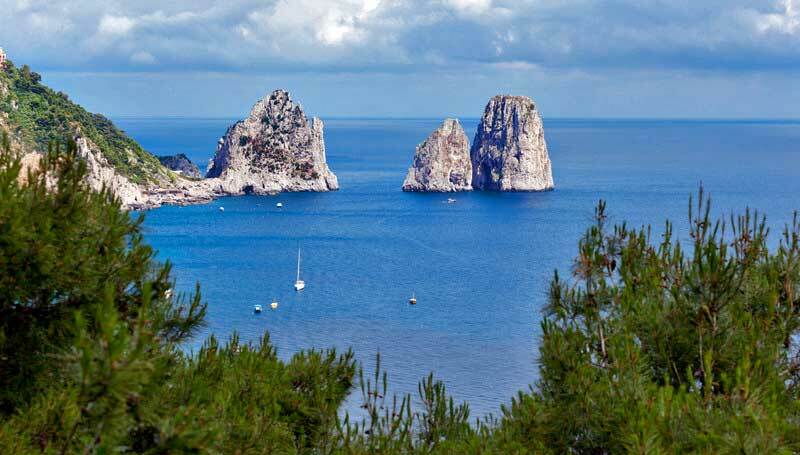 Take a Capri Self Guided Tour to see the sights when you visit Capri. Ride the funicular from the harbor of Marina Grande up to the town of Capri. 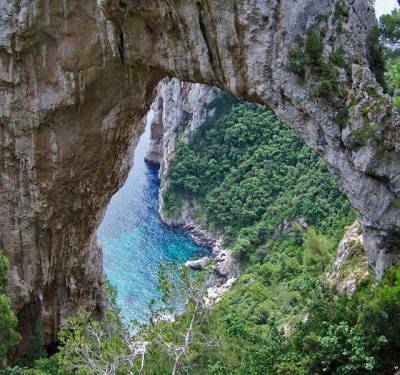 Walk from the town of Capri to the Natural Arch (Arco Naturale). Look through the arch to gaze down at the blue green ocean water far below. 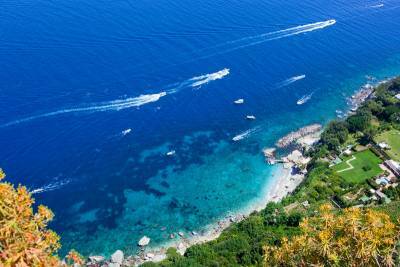 Walk just over a mile from the town of Capri to the Roman ruins of Villa Jovis. Emperor Tiberius ruled the Roman Empire from this location and threw people he didn’t like off the cliffs at Tiberius’ Leap. 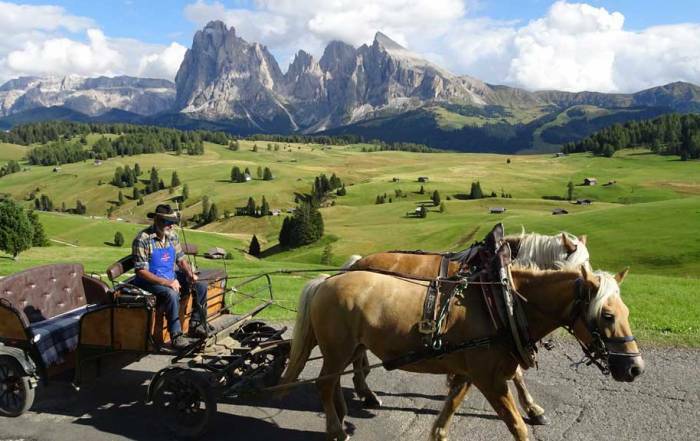 Jam in to a local bus for an exciting ride along the cliff edge to Anacapri. Passengers stand, which heightens the sense of vertigo. 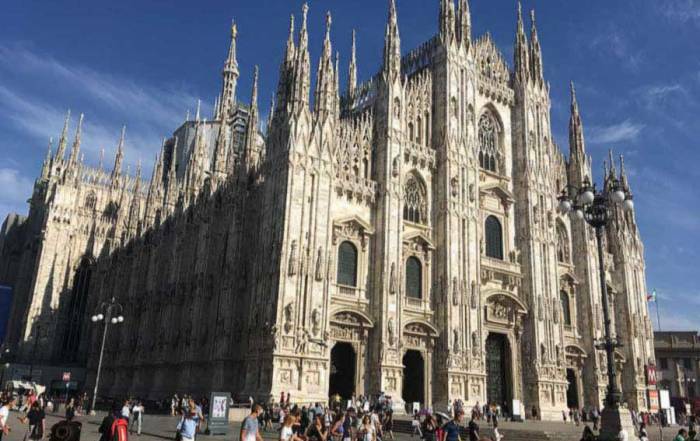 Travel from Marina Grande harbor by boat or high speed catamaran to Naples, Pompeii, Mount Vesuvius or Sorrento. 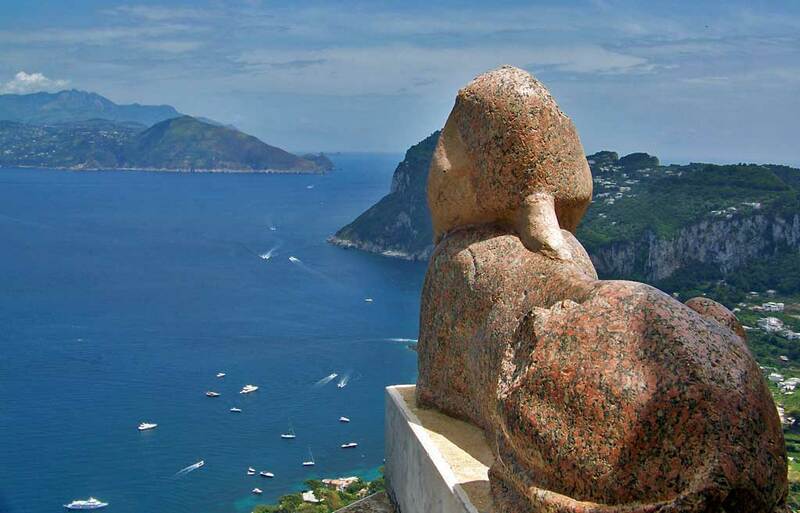 In Anacapri, visit the Villa San Michele, a highlight of a visit to the island of Capri. 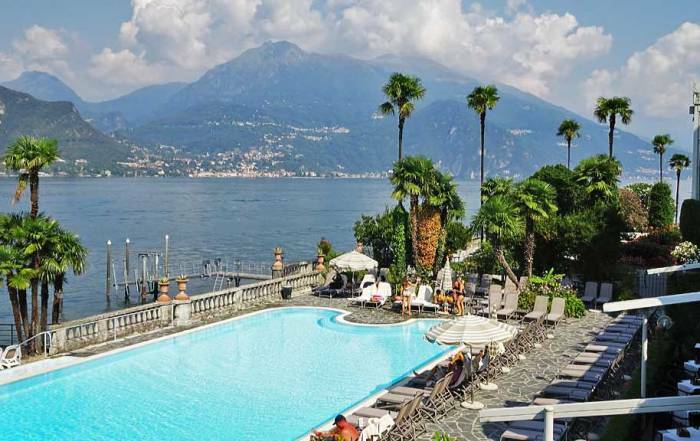 The entrance fee to Villa San Michele reduces the amount of tourists. The views to Marina Grande below and the cool breezes make for a great escape from the heat and other tourists. July and August are the height of summer with the warmest Capri weather. Expect average highs at this time of year of 88 F (31 C) and average lows of 68 F (20 C). From December to February, average highs are just under 57 F (14 C) while average lows are around 41 F (5 C). 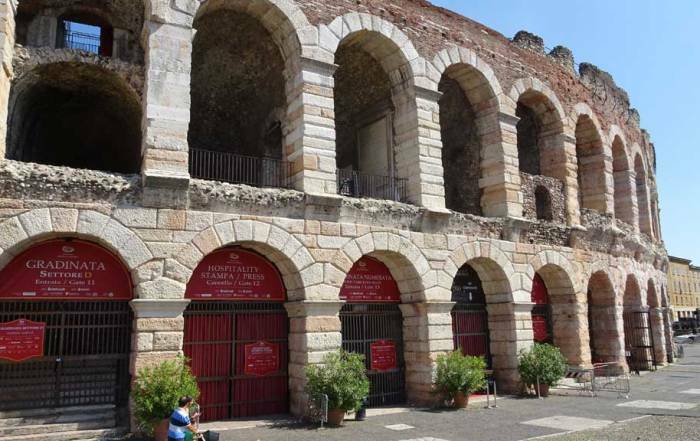 The driest part of the year extends from May to August. Capri is very busy through the summer, so May and June are good choices for a visit. Capri is a standard port of call for cruise ships. Passengers are tendered to shore for sight seeing in Capri or excursions to the mainland. Most visitors get to Capri from Naples on the high speed SNAV catamarran service to Capri. The ferry takes about an hour and runs every half hour in summer. 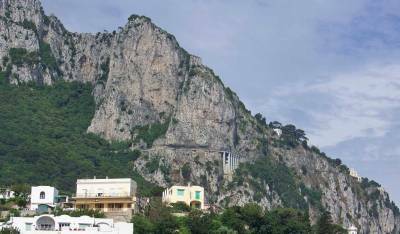 So, it is easy to get to Capri on a day trip without worrying about the ferry connections. The ferry arrives at Marina Grande. From Marina Grande most of the ferry passengers line up for the funicular that takes them to the town of Capri. 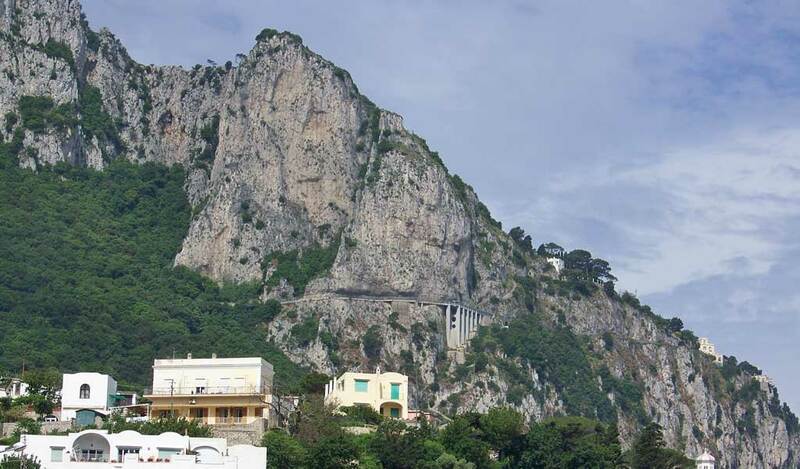 In Capri small buses take riders inexpensively up the steep, narrow road to get to Anacapri. 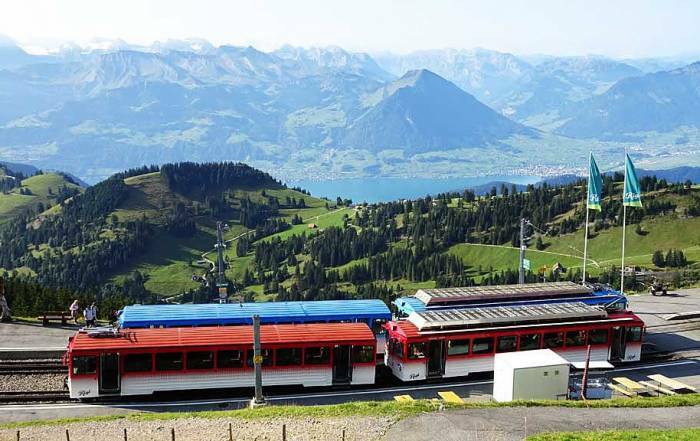 Taxis are also available on the island, but the buses and funicular are efficient and entertaining ways to see the island. Catch the chair lift from Anacapri to the top of the hill for views of the entire island. Capri is a small island in the Gulf of Naples. Just over 10,000 people live on the island of Capri, but the summer tourist season turns it into a busy metropolis. 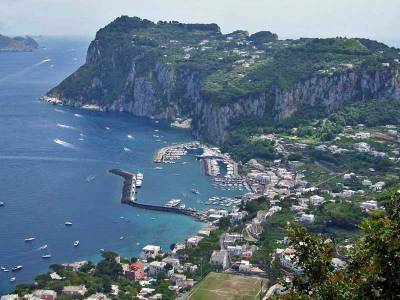 Capri is popular with Italians from the mainland as well as tourists from around the world. 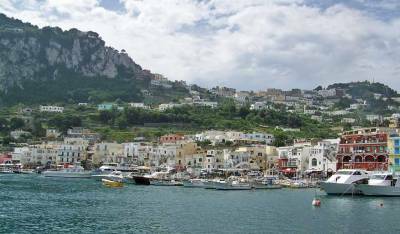 The largest town on the island is also named Capri. The other major town is Anacapri.